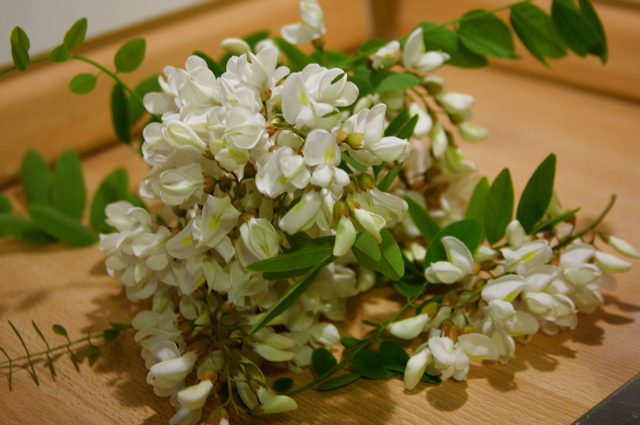 We have a lot of these trees in our garden and when it's blooming time, like right now, there is a light trace of jasmine in the air and the sight of the drooping clusters of white flowers is beautiful. Researching about these trees that are growing like weeds in our garden (They do, if you don't control them. 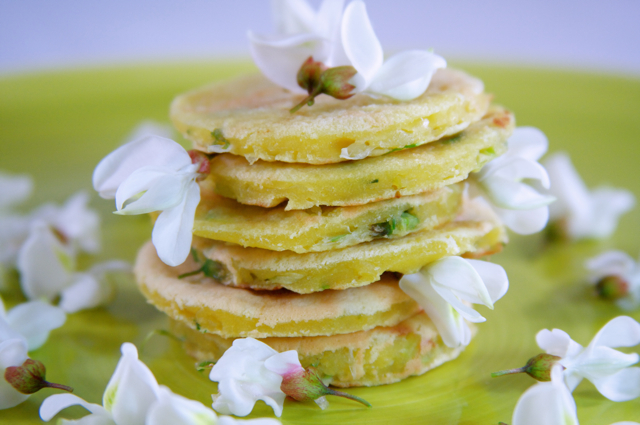 ), my husband chanced upon some recipes of the blooms. That was how we found out that they are actually edible! I remember checking them less than a week ago and they were still devoid of any clustered blooms. Today, all of a sudden, all the trees are fully loaded with fragrant flowers. I guess the blooming period of these flowers is really fast-forward. So I hurriedly gathered some flowers to prepare and eat them for the first time. Apparently in Italy, you can do almost anything with these blossoms. Fritters are the most common. They can also be ingredients for liquors, salads, ice cream and pancakes. I decided to do the simplest recipe. Frittelle. Pancakes. All the recipes I found use milk and butter. Since I am not a big milk fan, I thought of still going simpler. I added sparkling water to the batter of flour, sugar and eggs. I prepared and cooked the pancakes for 10 minutes tops, excluding the time I soaked the flowers in water & vegetable cleaner. This recipe is fast and simple. 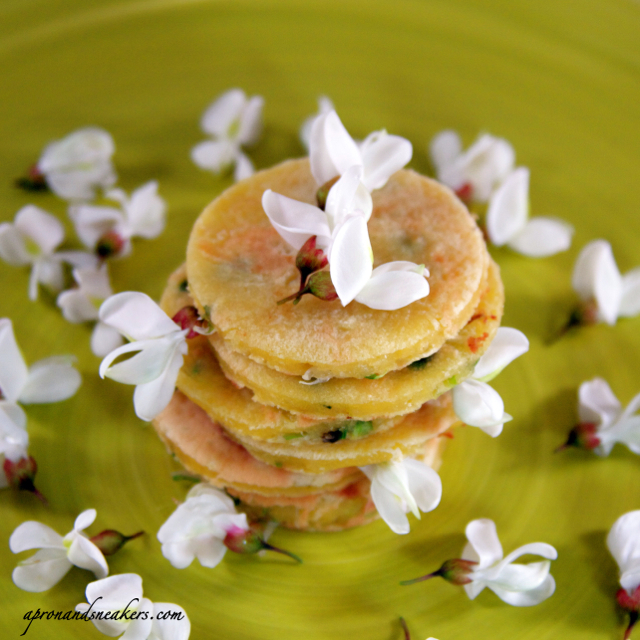 The flowers are reminiscent of jasmine, the aroma and flavor. I tried the pancakes straight from the skillet and hours after. I prefer them when they are warm because you can feel the lingering sapidity of the flowers. They were ambrosial. Clean & pick out the florets from the clusters. Set aside. In a bowl, mix the flour, eggs, water, sugar and florets. Heat a crepe skillet or any non-stick skillet with a small knob of butter. When the butter melts, ladle the mixture to the skillet. Cook until the pancake slides smoothly on the skillet. Turn and cook the other side. 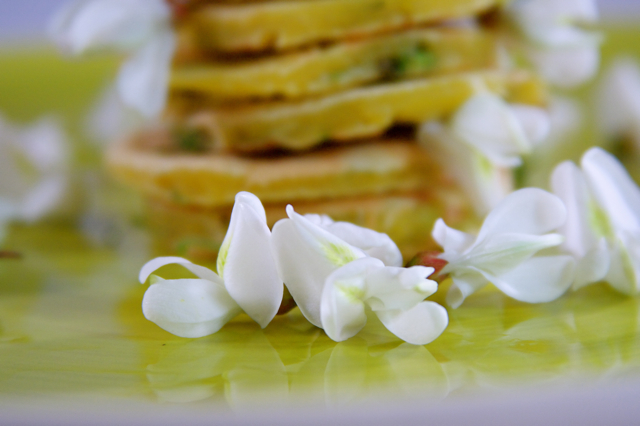 Serve warm, plain or with any kind of light syrup that won't clash with the floral taste of the pancakes.